Created by Anonymous on 12 Jul 2012 05:18. Last updated by swordzman0611 on 20 Sep 2016 01:06. 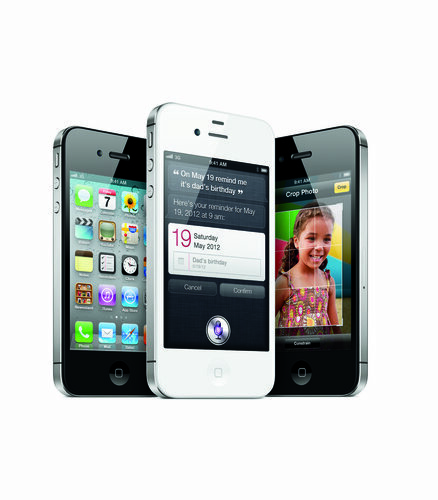 On 7 October 2011, Apple executed a rare "slap in the face" to months of posturing and punditry regarding a fifth-generation iPhone by releasing an upgraded iPhone 4: the iPhone 4S. This time, Apple did not clarify what the "S" stood for. It could have been speed (yet again) as it was powered by a dual-core A5 chip (1 GHz before downclock to 800 MHz)—the first such processor designed by Apple; it might have been Siri, the virtual voice-powered assistant that Apple acquired from an indie developer weeks before the event and used in this new hardware; or it could have been sharp, with Apple introducing the second-generation Retina display and an 8 MP rear camera. We may never know what it was, but the rumor hounds thought it was…well…a rather unpleasant thing. Reviewers lamented the lack of LTE, or a large screen, or both. However, these same reviewers by and large went on to commend the 4S' subtle improvements. Perhaps more importantly, Apple refined the antenna system to better avoid the notorious "death grip design flaw" made public earlier in the year. What's more, Apple added GSM world-roaming capabilities to CDMA models, making this the first—and only—model simultaneosly manufactured for and usable on both backbone types. Together with original iPhone 4, released to Sprint (US), as well as a number of Tier 2 carriers across the globe. Initial Sprint release was GSM unlocked. Apple patched its "error" a few weeks later. Hey Bryce, added the Pixels Per Inch to the display. Just got this phone and love it! I've added the background data for the 4S here, too, fleshing out what was initially set.